This is part 2 of my piece on the Tree-Mendus Fruit Farm located in South West Michigan. 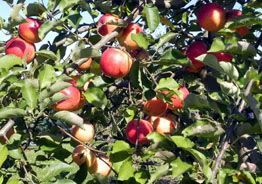 My main reason for visiting the Tree-mendus Fruit Farm in Eau Claire, Michigan was to savor the selection of antique or heritage apple varieties Herb Teichman has collected and propagated over the last fifty some years. Over a hundred years ago, one could find literally thousands of varieties of apples grown here in North America. Some were for cider, others for baking, storing and just eating fresh. Most of those varieties have since disappeared and now we’re left with only a few hundred. Of those few hundred, only about ten varieties currently make up 80% of the apples you’ll find in the grocery store. Most consumers will recognize names such as Red Delicious, Gala, Golden Delicious, Granny Smith, Fuji, McIntosh, and Rome. How many of you have ever bitten into a juicy Northern Spy, a sugar-sweet Golden Russet, Thomas Jefferson’s favorite, the spicy Esopus Spitzenberg, or savored the pleasingly pink flesh of a Pink Pearl? These are delicious apples our great, great, grandparents knew and loved, and yet today you can rarely find them. All of these varieties and almost two hundred other heritage apples are grown and available for consumers at Tree-Mendus. 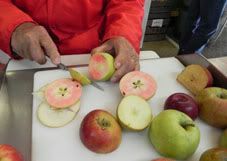 After Herb’s father passed away in 1968 Herb continued the heritage apple collection started by his father. 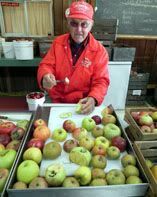 He has since, like an antique apple detective, set out to find and save as many old apple varieties as possible. “I knew several other fruit growers and nurserymen who were also collecting the old apples and we would exchange cuttings, and propagate new trees from these cuttings,” he says. It isn’t just enough to grow these old apple varieties, though. Customers must taste them to really appreciate their flavor. At the fruit farm store and gift shop, apple tasting is a must for visitors. The Teichman’s and their helpers love for visitors to taste apples they wouldn’t normally get to experience at a regular grocery store. 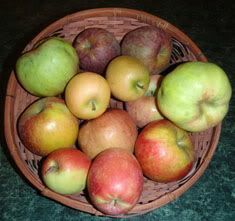 A wide array of apples: large, small, perfectly shaped, oblong, knobby, smooth and flawless, rough and mottled, are all ready to be sliced and sampled. “Wow, that’s delicious. Umm, so crisp and juicy. 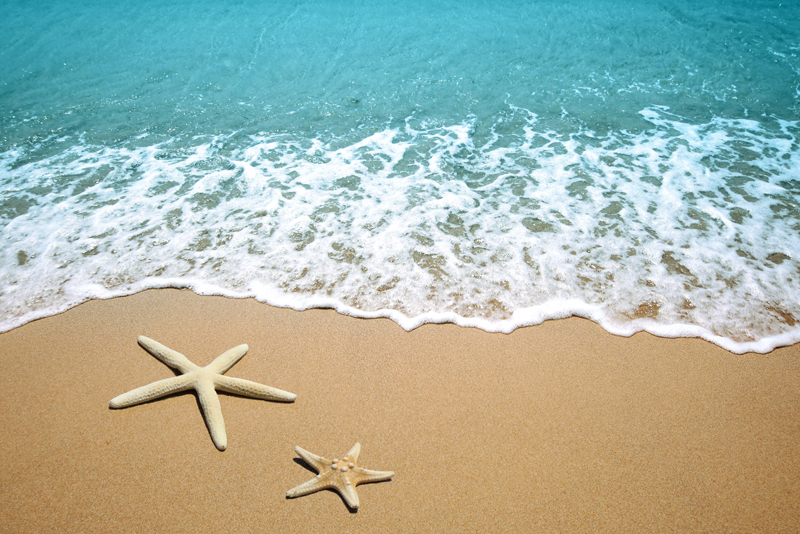 Oh, that’s excellent,” are the comments coming from the tasters. Most are surprised that an apple they’ve never heard of could taste so good. The Teichman’s love for growing the freshest, highest quality fruit one can find and putting it directly into the hands of their customers, never waivers. The entire family and their workers are dedicated to keeping customers coming back year after year. “We’re here for people who appreciate the quality of fruit we produce. Without them, we wouldn’t be here,” says Herb. As each customer leaves the fruit farm, arms laden with bags, baskets, and buckets of freshly picked apples, jugs of robust, flavorful cider, and a smile on their face, Herb cheerily sends each on their way with a “Have a tree-mendus day”. I know I certainly did. Here are some of the fruit farm’s favorite apple recipes. Cream the shortening and brown sugar. Add egg and applesauce. Beat well. Add the sifted dry ingredients. Mix well. Add the apple and walnuts and mix again. Drop by teaspoonfuls onto ungreased cookie sheet. Bake at 375 degrees for 10-12 min. until lightly browned. Place cookies on wire rack to cool. Wash, core and slice apples. Peel if desired. Place apples in a saucepan with water, cover and simmer until tender. May put apples through a blender or mash with a potato masher. Add sugar or honey and spices to taste. Serve warm or cold. This sauce can be canned by following the instructions in the Ball Canning book. 3 lbs. of apples peeled, cored, and sliced into ½ inch slices to equal about 9 cups of sliced apples. Mix dry ingredients together in a large bowl, then add the apple slices and vanilla and stir gently to coat apples. Spoon apple mixture into bottom crust and mound slightly. Add top crust and make a few slits to allow steam out. Sprinkle top with cinnamon/sugar mixture if desired. Place foil around pie edge to prevent from browning too quickly. Remove foil 15 min. before pie is done. Bake in preheated 425-degree oven for 30-40 min, or until the apple slices are tender. To leave a message call 877-863-3276 and listen to instructions.